• (IPAS) identifies genuine incidents of forced entry, unauthorized access or personal attack, which generates effective response if any of these occurrences happen. 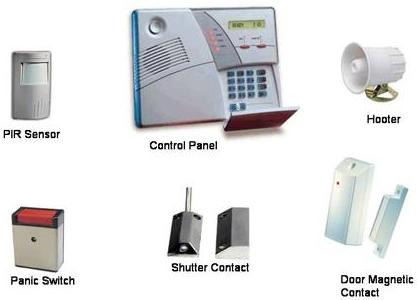 • Alarms can be either wired or wireless. Wireless alarms look nicer, are generally easier to install and can be removed more easily if you move house. They use battery-powered sensors that communicate with a control panel using radio signals.While this type of alarm tends to be cheaper to install professionally, or can be fitted yourself,the alarms themselves can be more expensive. Wired systems usually need to be installed by a professional, as the wires will need to be hidden, so labour costs are higher.